This is our fourth trip and it was a great stay, once again. We will be back! 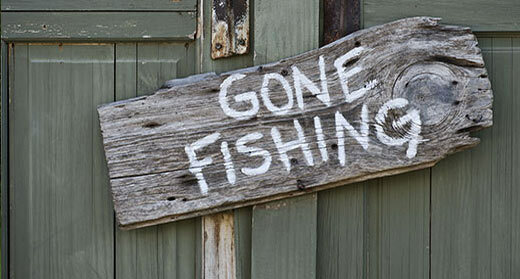 Tips for other travellers: Pack your fishing rods! Great fishing. 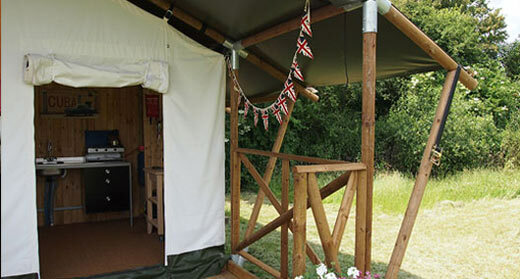 If you're looking to spend some quality holiday time with your family and friends, with no iPods, TVs or other distractions of daily life, then come to our safari tent in the beautiful Kent countryside. Leisurely days can be spent gathering a little wood for the fire pit, fishing your own private carp lake and relaxing over a chilled glass of wine on the veranda as you BBQ a feast for supper. Splash in the mud just because you can, visit the local Hop Farm attraction, or take a walk to the local pub where there is a friendly smile, beer on keg and no plastic music blaring! However you choose to spend your time, a warm welcome awaits you on our farm, where you'll find your safari tent snuggled down in a private corner of our farm. 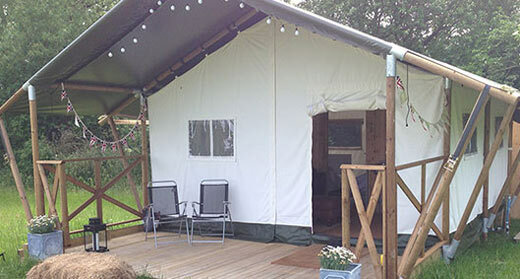 The tent comfortably sleeps 4, is beautifully equipped and available to rent from £70 per night throughout the year with an arrival date to suit you. 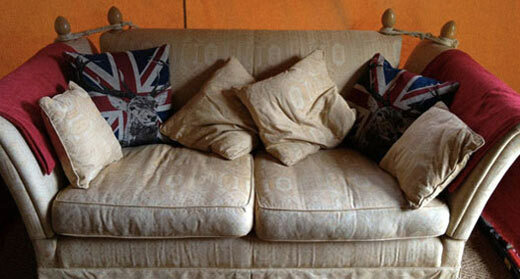 Call us on 07802 847213 to reserve your little piece of paradise, we hope to see you soon! Having worked for UK camping and holiday parks for many years, it is great to be finally welcoming guests to our farm in Kent. 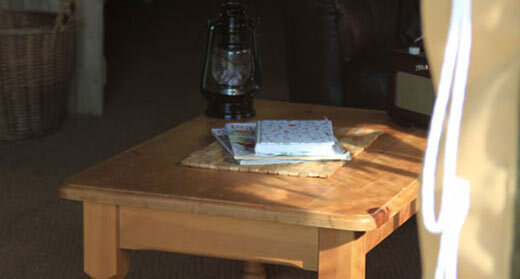 My wife Ali, son Cameron and Tick Tock the dog look foward to helping you to get the most from your stay. 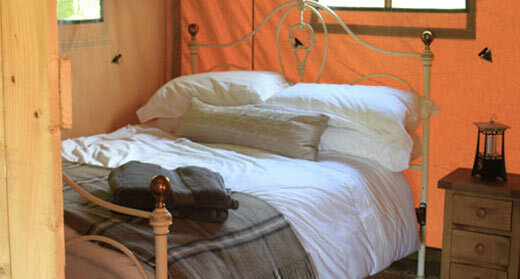 Our newest safari tent, 'The Super Grand' sleeps 6-8 and includes a cute and cozy cabin bed that the kids will love! 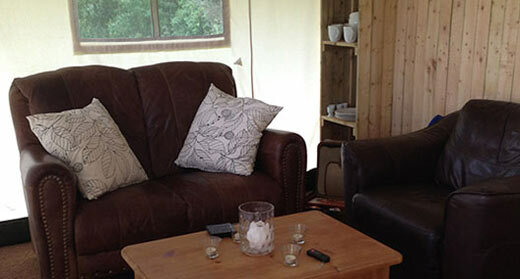 Take a look at the accommodation tab for more info! We are currently building the base for a brand new tent, a large woody, which will sleep 6 and include a great interior design... watch this space for something you will want to tell your friends about! Summer 2014 here we come! Well it’s been a frantic start to the new season with bookings throughout Easter and the May bank holiday weekends. With better showers and toilet arrangements and flexible bookings from any day to any day, we are looking forward to a cracking year again! Offering the same comfortable accommodation and fully equipped for a relaxing stay, our new Safari Tent is timber framed and blends beautifully into its\' surroundings. 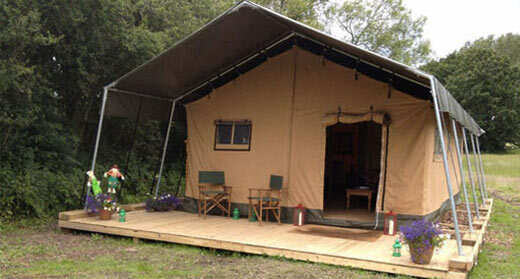 New for 2013 we have added a log burner to our Safari Tent to keep you extra warm and toasty. And even when the weather doesn\'t really warrant it, the sight, sound and smell of a log fire burning is hard to beat! 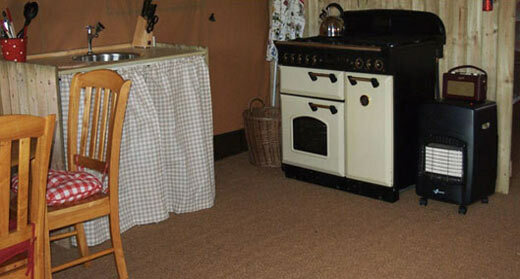 Seize the day for a spot of carp fishing, your own private fully stocked fishing lake awaits! 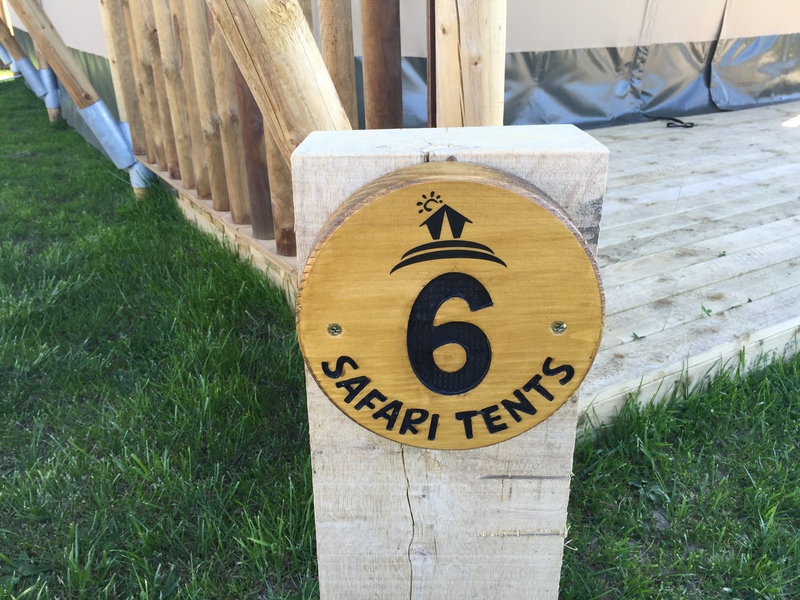 Our original safari tent is our biggest glamping option with a spacious living area and comfortably sleeping up to four people. 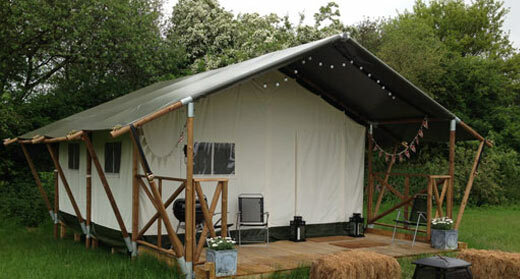 Called 'the Woody' because of its stunning wooden frame, this safari tent is a little smaller but beautifully proportioned, sleeping four people comfortably. 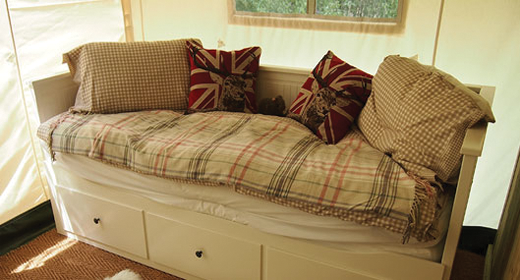 The Super Grand is our newest tent and can sleep 6-8 in two bedrooms, and a lovely cabin bed which is ideal for the kids.